Indie horror continues to become a popularly growing genre and another title has made it's way into my collection. Shadows 2: Perfidia by the Indie Developer MrCiastku is the defenseless horror game that I played on PC via Steam. Making your way from the top floor to the bottom floor and facing a new challenge on each floor, facing multiple Shadow enemies, puzzles, and "find the key" situations. While many of these are basic horror strategies, it is done with a few clever jump scare moments and even times where you will have to encounter one of the Shadow enemies. There are times were it's kind of silly, such as when the Shadow enemy simply stands at the end of the hall to insinuate that you are not to go in that direction, but there were a few times that this was used against you as well. The puzzles themselves were rather unimpressive. They were mostly just a form of gathering, or finding, numbers and putting them together in a math equation. In a situation where you find notes all around, math is the least horror environmentally appeasing way to go about a puzzle. A riddle or finding it in a mysterious way, like finding the numbers written in blood or backwards on the mirror, would of been better. I suggest that you start with the "Michael" playthrough due to it having a story, more variations in puzzles, rooms, and enemies, and is more fun overall as far as the game itself goes. I feel that starting with "Joe" hindered the experience as it is more of a side adventure with little to no story, less variations, and is shorter. But the assets that were used did have a rather decent quality and the enemies being Shadows made them scary in a minimalistic way. It was also cool to see that there were a few other variations of the enemies as well. 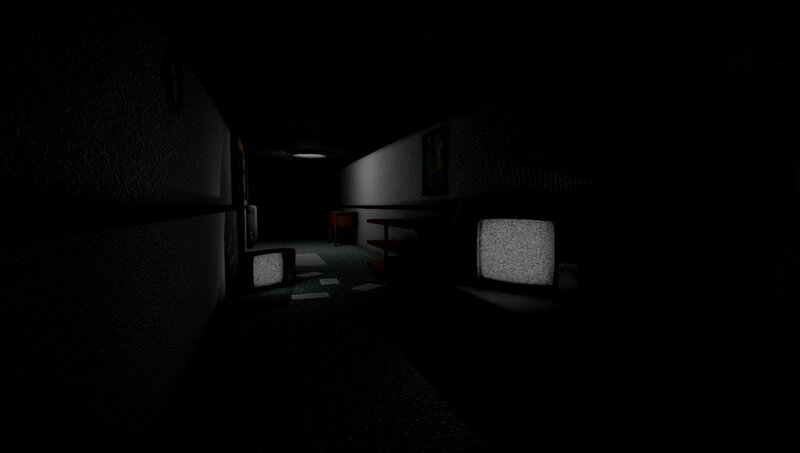 The game was fun to play and gave me many senses of horror, which is the point of the game. The clever jump scares scared me AND the character on multiple times. The puzzles need a lot of work and would like to see a better variation in the assets used altogether, but the graphic quality is not bad at all. A deeper story would also help make the game itself more enticing. The forcing me to close my eyes in order to calm the character down aspect was a great trick to make me, the player, feel more anxious as my character calms down.